Decode and playback R3D files realtime. Hyper-accelerated transcode to any system codec. 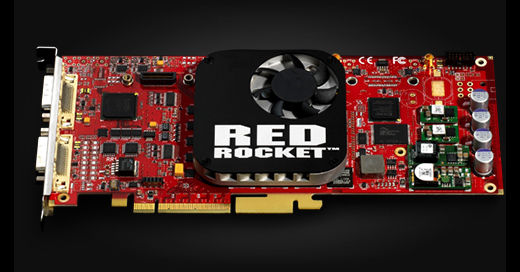 RED ROCKET® is the original solution for realtime 4K RGB playback and realtime R3D® transcoding. Decode and debayer 4K R3D® files in realtime, decode 5K files, hyper-accelerate transcoding to any system codec. In addition, play full quality realtime 4K to 4K monitor or projector from DVI output (requires RED BREAKOUT BOX). 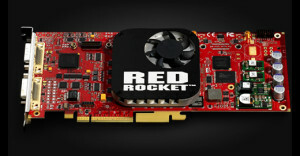 Play full quality 2K/1080P scaled from 4K footage out the Dual Link HD-SDI from RED Rocket card. Downscale 4K footage to full quality 2K and play through your system graphics card and monitor. 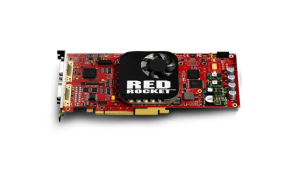 The RED ROCKET® enhances transcode and playback abilities of R3D files in various resolutions in real time speeds. It will drastically accelerate transcode times for still image sequences and video formats (e.g. QuickTime, DPX, etc) in all Rocket supporting applications. It provides real time, full quality playback, onto a 1080/2K/4K monitor or projector via DVI and HD-SDI through REDCINE-X. 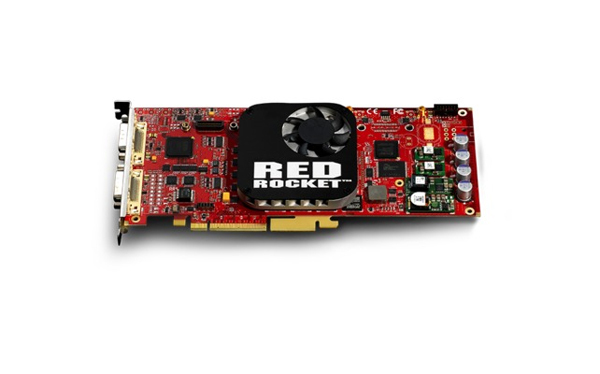 Multiple RED ROCKET® cards may be used in one system to boost system performance when working with R3D files.